Andersons Transport offer spot hire facilities or traction services, which may be of particular interest to those companies who run their own fleet, but experience difficulties at peak times of the year. Our experienced team are on hand to support your company whenever you need. 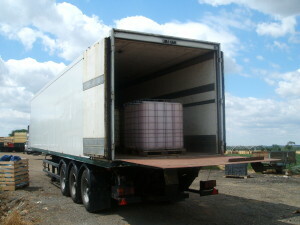 We are able to supply fully trained drivers and trucks, who are dependable and reliable. The high standards we offer our own customers is reflected in the quality of service we can offer you and your customers. You don’t have to worry what the “agency” are sending you tomorrow we offer the same level of service “every time”. We understand there are peaks during the year depending on the nature of your business, and are always willing to help in whatever way we can. We are insured to offer a traction service, pulling trailers that are part of your or your customers’ fleet. We are a company with ethics too, so you can be comfortable in the fact that when you employ us, you are our customer, and we act as your partner not your competitor. 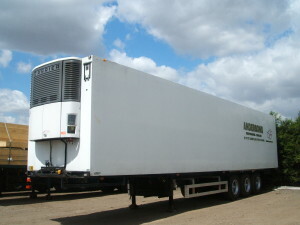 We have a number of vehicles in a modern fleet, which includes Fridges, Tautliners and Box Trailers, all fitted with tail-lifts, and a combination of Flat Trailers. See Our Fleet and Vehicles for further details.